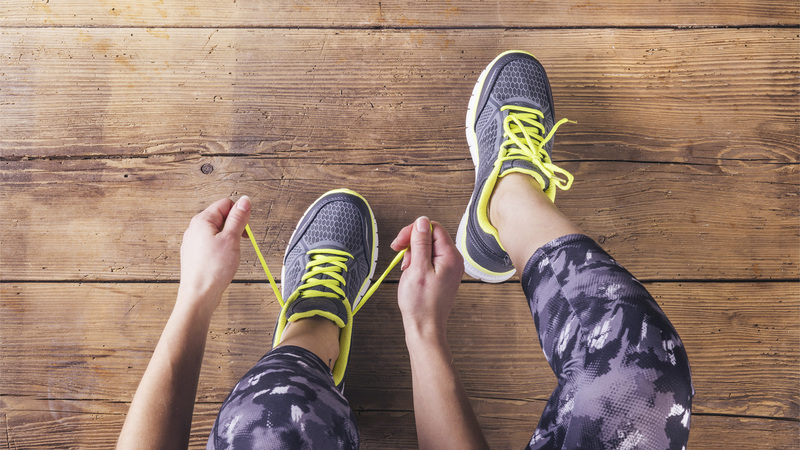 Whether you're gearing up for a marathon or your first 5 km, prepare your mind, body and wardrobe. With the running calendar hitting its stride in spring, winter makes a great time to form the blueprint of your training journey. 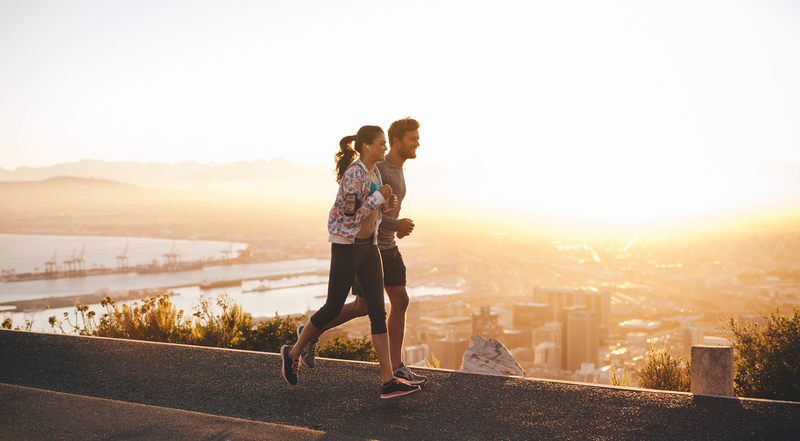 Whether you’ve got the Medibank Melbourne Marathon Festival in sight, or one of the hundreds of fun runs held around Australia, we’ve gathered some tips and tricks to help you prepare for running season. Ensure you’re fueling up on the right stuff when you embark on your training journey.Here are the top 10 foods to fill a runner’s shopping basket. 1. Wholegrain cereals. 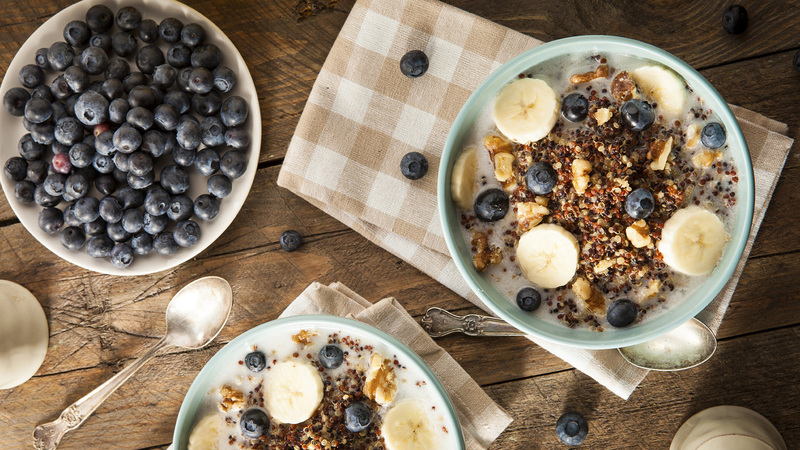 Spanning quinoa, rice, wholegrain bread and pasta, bulgur, barley and more, wholegrains are a long-lasting source of carbohydrates for fuel and recovery. 2. Beans and legumes. Stock up on these economical beauties for a range of essential nutrients including protein, low GI carbs, fibre, vitamins and minerals. 3. Salmon. A rich source of Omega 3 fatty acids EPA and DHA, salmon has powerful anti-inflammatory benefits, which is important for high-impact running. 4. Lean meat. Small portions of quality lean meat are excellent for protein, satiety, iron stores and recovery. 5. Nuts. Loaded in essential fatty acids, a small handful of unsalted, natural nuts make the perfect snack. 6. Eggs. As a natural source of at least 11 different vitamins and minerals, two poached eggs make a great recovery meal. 7. Dairy. A couple of serves of dairy post workout – like a tub of yoghurt or a glass of milk – make great recovery snacks. 8. Frozen berries. The compounds that give berries their dark colour are anthocyanins, a powerful group of antioxidants that may assist with muscle repair. Great for a smoothie! 9. Frozen veggie mixes. Saving you time in preparation and offering an array of different colours on your plate in an instant, veggie mixes provide a convenient dose of your daily intake. 10. Dark chocolate. Dark chocolate contains potent antioxidants called flavonols that have been shown to boost heart health. Opt for small, individually wrapped portions. While we love running because it’s accessible and free, having the right winter gear can help you keep warm, dry and inspired. Run jacket. 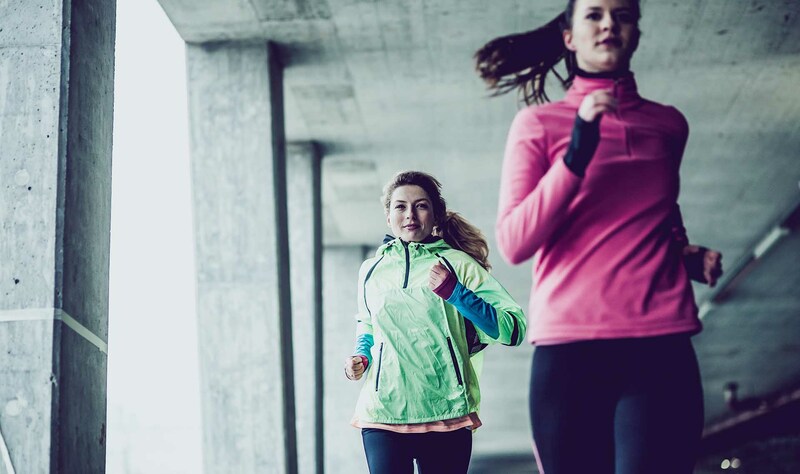 Depending where you’re training, a lightweight, well-fitting running jacket can help keep out the wind, cold and light rain that will dampen any training session. Layers. You’ll start out cold and end up warm, so dressing in layers can help make braving the initial cold that bit easier. Ensure your base layer is breathable and moisture-wicking, to avoid overheating as you get going. Reflective gear. If you’re training in dim light in the morning or evenings, being visible is important for safety. Keep an eye out for reflective strips and features on jackets, t-shirts, vests and singlets to help increase your visibility in the dark. Gloves and beanies. Gloves and/or a beanie can help your body be more efficient with its energy expenditure as a lot of heat is lost through your head and fingers. Running socks. Quality running socks are a great investment for keeping feet dry and wicking away sweat, and compression properties ensure circulation is tiptop. Running shoes. While running shoes are designed for year-round use, ensure the tread of yours are in good nick to avoid any slips in dewy conditions. Be mindful that minimal or low-profile footwear will be likely to let in more moisture in damp weather. Sunscreen and sunglasses. Even in the cold weather, sun protection is important during the day. Use a sports style sunscreen when you hit the trails. When it comes to choosing sunglasses, look for high performance styles that block out 100% of UVA/B and blue light. Try on a few pairs and ensure they have non-slip ear socks and nosepads for comfort. 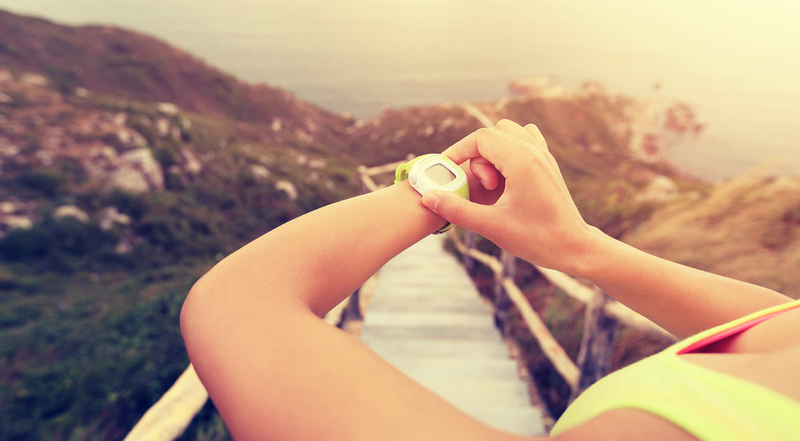 As simple as it might sound, goal setting can make a real difference on your fitness journey. We often flounder with our goals because they’re not developed enough. For the best results, a goal should be positive, challenge you, be something you are committed to and be accompanied by an action plan. Measurable – How will you measure success? Achievable – Is it realistic? Relevant – What does it really mean to you? Time-bound – When will you achieve it by? If your goal is big, try splitting it into smaller goals you can focus on one at a time. Being clear on what you want to achieve, and mapping out step by step how you will achieve it, will get you in a more positive mindset, so you feel motivated and excited each session. Sticking to a goal is always easier when you have communicated to close friends and family how important it is to you. Spread the word, get people onside, recruit a little cheer squad – they’ll be less likely to give you a hard time when you turn down drinks for a training session, and might even be interested in joining you for the training journey. Look at it as a team effort. When we’re injury-free, life is good. Our motivation is high, going for a run becomes enjoyable and we feel focused and committed to our goals. Sadly, this positivity can quickly turn south if injury strikes. Should this occur, it’s not the time to bury your head in the sand. To achieve an efficient return to your training, you need to be proactive and channel energy towards injury rehabilitation. Head to your trusted health professional for an assessment, follow their recommendations for exercises and only return to your training when you are advised to do so. While incredibly frustrating, it’s a time to be realistic and patient and to listen to your body.